Three bedroom semi-detached family house which is in need of updating and benefits from gas fired heating to radiators and double glazed windows. Situated on a sought after residential location with excellent access to the local schools and the mainline railway station. Billingshurst High Street with its retail facilities and village amenities is also easily accessible. 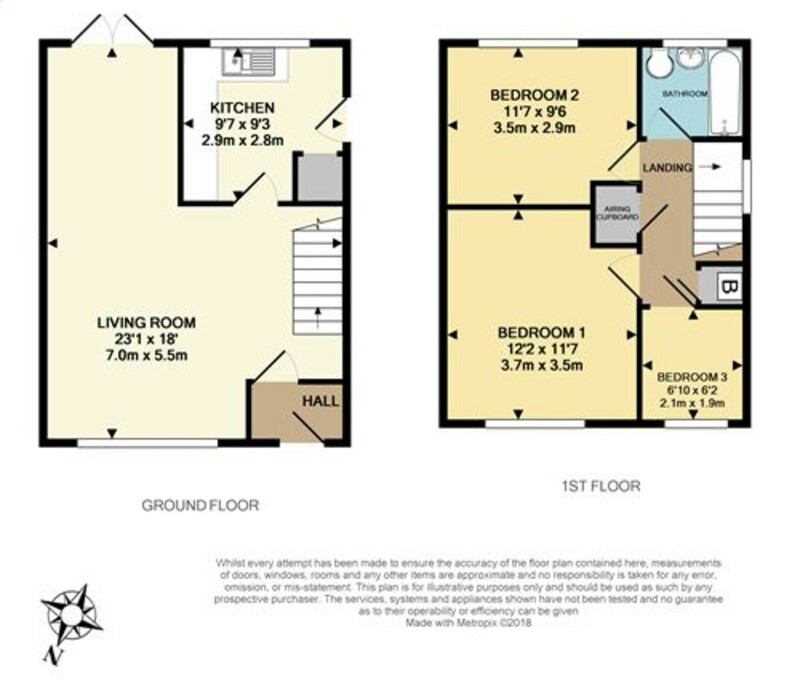 The property has a drive and garage that can also be accessed from the rear garden. A very exciting opportunity to purchase a spacious family home in a very sought after location. Being 'L' shaped with a double aspect to front and rear, staircase to first floor with understairs storage, two radiators, thermostat, double glazed window, double glazed double opening doors leading to rear garden. Comprising: worksurface with inset sink unit having base cupboard under, space and plumbing for washing machine with space for cooker to side, further worksurface with base cupboards and drawers beneath, eye-level units, understairs recess ideal for fridge/freezer, radiator, programmer for central heating, further storage cupboard, double glazed window, part double glazed door leading to outside. Double glazed window, airing cupboard housing lagged hot water tank, further cupboard housing gas fired boiler. Aspect to the front with a slightly elevated aspect to the property with a pleasant view over neighbouring roof tops, double glazed window, radiator. Bath with mixer tap and hand held shower attachment, pedestal wash hand basin, w.c., heated towel rail, double glazed window. The garage is approached on foot from the rear garden along a small path which leads to the rear of the garage where there is a door. The garage is of brick construction with a drive at the front providing additional parking. Almost entirely laid to lawn with a central path and a patio area adjacent to the property.